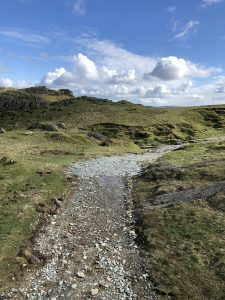 As time goes by inevitably damage occurs to the old quarry tracks on the fell, this, as the Lake District National Park has found, is largely down to water running off the fell and washing away the stone in its course. 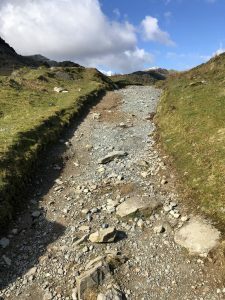 Over recent months one track in particular has fallen into a state of disrepair, we reported this to the LDNP who have carried out extensive repair works. 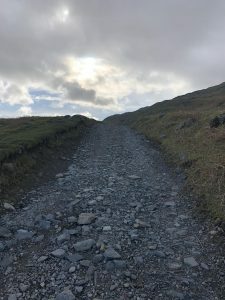 A really big thanks goes out to the LDNP along with Burlington Aggregates and Darren Woolcock Stone Walling who kindly donated the material to make the repair possible! 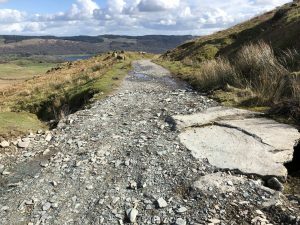 The team was informed by Cumbria Police of an incident concerning a lady having slipped and injured her ankle on her descent of Goats Hawse. A full team call out was initiated, the first team members left the base and made way for the injured party. 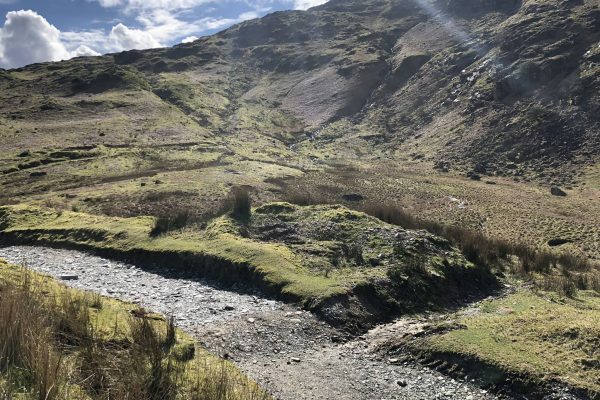 Due to there being a low number of available team members Duddon and Furness MRT were asked to provide assistance in case of a stretcher carry. On arrival on scene the lady was treated for her injury. Due to other complications with the lady the Team Leader asked for helicopter assistance to speed up the process of getting the lady to hospital. A helimed attended the rescue from Blackpool and were able to provide further medical care for the lady on her journey to hospital in Barrow. 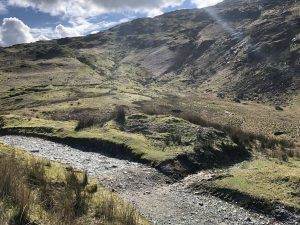 This call out involved 11 team members from Coniston MRT and 5 team members from Duddon and Furness MRT. It lasted 3 1/2 hours.